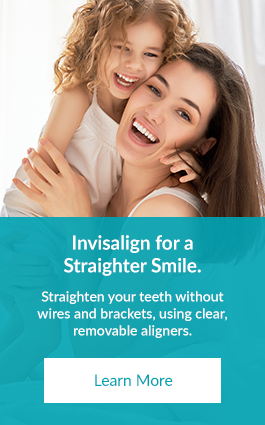 Are you looking for a brighter, whiter smile? At Today's Dental, we offer teeth whitening in Edmonton for patients looking to enhance their smile. Teeth whitening (or bleaching) is a simple, non-invasive dental treatment used to change the colour of natural tooth enamel and can give your smile a new, refreshed look. Nearly all patients wish they had whiter teeth and there are a number of different options today to get a whiter smile; from take home kits to over the counter products to in-office procedures. The most popular method is using a take-home teeth whitening system that will whiten teeth dramatically. Since teeth whitening only works on natural tooth enamel, it is important to evaluate replacement of any old fillings, crowns, etc. Replacement of any restorations will be done after bleaching so they perfectly match your bright new smile. Teeth whitening is not permanent. A touch-up may be needed every several years, and more often if you smoke, drink coffee, tea, or wine. We invite you to contact our practice to learn more and to schedule your teeth whitening appointment at our Edmonton location. Sometimes called bleaching, teeth whitening is a cosmetic procedure that helps to remove stains on tooth enamel helping to restore natural colour and in most cases increase the whiteness of your teeth. At Today’s Dental, we believe our whitening program delivers exceptional results brightening your teeth by several shades. What causes my teeth to become dingy and stained? There are 2 types of staining on your teeth. Extrinsic staining occurs on the outside of the tooth – the enamel – from food, beverages and oral habits such as nicotine use. This type of staining responds quite well to whitening treatment. Intrinsic staining occurs on the inside of the tooth – dentin layer- from things such as medications. This type of staining does not respond as well to whitening and often improvements in shade can only be achieved by porcelain or composite bonding procedures. Foods – Blackberries, blueberries, and raspberries all have natural pigments in them that stain your enamel. Drinks – Coffee, tea, red wine, some fruit juices and colas can all stain your teeth, especially if you drink a lot of them. Fluorosis – There can be too much of a good thing! Too much ingested fluoride while your teeth are still forming in the jaw bone leads to fluorosis, which can stain the teeth. Genes – The colour of the enamel on our teeth is different for every person, as is the dentin beneath. This, in turn, can influence the outer coluor. Simply put, some teeth are more yellow than others. Smoking & Smokeless Tobacco – Nicotine leaves yellow and brown stains on your teeth. Medications – Tetracycline is the main culprit in stained teeth. Heavily used as an antibiotic in the 60s and 70s, it stained the teeth of many children a greyish colour. The enamel on your teeth is where most stains take hold. That enamel is somewhat porous which is why it stains. The hydrogen peroxide in our whitening gel penetrates the tooth enamel breaking down the surface stains. The whitening gel does not penetrate through to the dentin layer which is why intrinsic stains usually require additional treatments to cover them up. How Does Your Home Whitening Program Work? At Today’s Dental, Our home whitening program involves two visits. During your first visit, we’ll start by comparing your teeth to a shade guide to help identify the degree of your staining. We will then take impressions of your teeth in order to create custom bleaching trays. When your trays are finished, you will return for a second appointment. We will check and adjust (if necessary) the fit of the custom trays. We will give you our special whitening gel, along with thorough instructions on how to use it at home. At home, you’ll put the whitening gel into the trays as directed and wear them for 30 - 60 minutes every day. If you normally have sensitive teeth you may be instructed to wear them less frequently to help minimize sensitivity. Whitening works best on freshly cleaned teeth so remember to use it after you have brushed and flossed your teeth. You will not be able to eat or drink while the trays are in your mouth and avoid eating and drinking for 30 minutes thereafter. Teeth whitening is absolutely safe when used as directed and all dental office dispensed whitening products have been researched and approved by federal health regulatory agencies. When you finish with your whitening session your teeth may be a little more sensitive but this sensation will subside. If it is bothersome we may adjust your whitening schedule and may also recommend taking ibuprofen. What Should I Do To Keep My Teeth White? Once your whitening is complete your teeth should be several shades whiter. It is important to remember that whitening is not permanent. Just as your teeth stained before – they will stain again. When you feel your teeth need a little whitening boost, simply wear your trays again for a night or two. Remember that refills of professional gel cannot be purchased in a store and store bought products are not made to work with the custom trays. Please let us know when you need to purchase additional product and we will have one waiting for you when you arrive. Excellent oral hygiene habits also plays a role in how long your teeth remain white. Brushing twice daily and flossing once a day are extremely important; as is your recommended professional dental cleaning schedule. Take The First Step Towards A Whiter Smile Today By Contacting Our Edmonton Practice To Schedule Your Teeth Whitening.